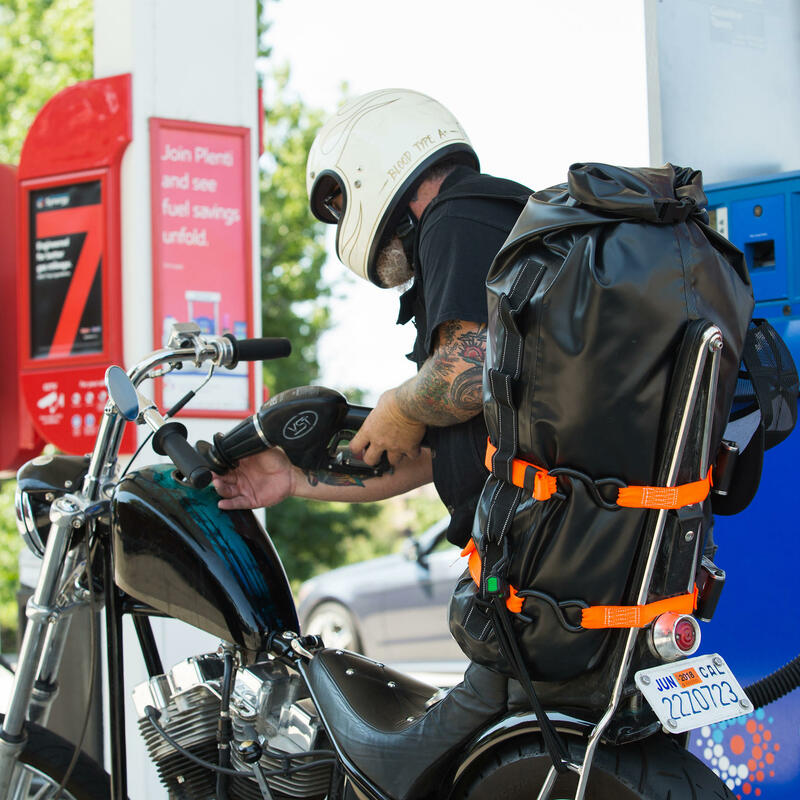 The new Biltwell Exfil Dry Pack is a simple yet effective motorcycle pack. Stuff all your gear into this simple pack, and off you go. If you need more than this to hold your gear you might as well be rolling in a car. This bag features a huge central cavity that easily holds camping gear without any fussy features or unnecessary farkles. Robust 2” webbing on two sides with large loops to accommodate any size tie-town straps has reflective woven stitching and reinforced stitching. Bottom panel is double-thick material for increased durability and abrasion resistance.